Concussions are primarily detected through the observation of signs and symptoms displayed by the injured participant. Clinical tests have been developed to aid in detecting the presence of a concussion and include objective measures to assess brain function, balance, coordination, and eye movements impairments. These tests will be briefly described in the subsequent sections. Concussions will most often not be positive on most neuroimaging. 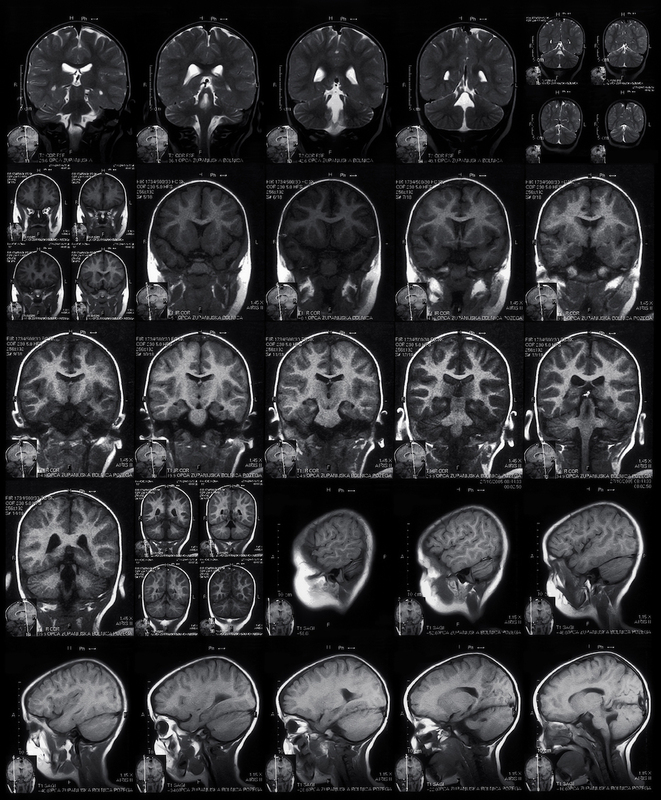 Conventional diagnostic imaging techniques such as computed tomography (CT) and magnetic resonance imaging (MRI) are often used when a more serious brain injury is suspected, such as a subdural or epidural hematoma that results in structural injury to the brain. Concussion is a functional injury, which is why current techniques cannot detect a concussion or determine when a patient is recovered. The leading researchers on sport-related concussion have suggested that CT and MRI provide very little help to concussion evaluation because the neuroimaging often reveals normal structural results (Broglio 2014; McCrory, 2013). More recent studies involving the use of other imaging modalities have been conducted and have shown some promise in the research setting but are still not recommended for regular clinical use in sport-related concussion management. Every head injury must still be handled with caution, just because your son or daughter has imaging with negative results, it does NOT mean they did not suffer a concussion. One of the most identifiable ways to evaluate a sport-related concussion is through self-reported symptoms. Self-reported symptoms are symptoms that the athlete reports to you, their coach, athletic trainer or other medical provider. The use of a symptom checklist or graded symptom scale allows the sports medicine practitioner to clinically measure your child’s symptoms post-concussion and to systematically track the progression of your child over the course of their recovery. A self-reported concussion symptom scale typically contains a list of symptoms commonly associated with a concussion. A Likert-type scale is also added to allow the child/athlete to rate/describe the severity of the symptom(s) experienced. For example, a child can rate his/her headache on a scale from 0-6, where each number corresponds to a specific response option. Response options range from “never” (0) to “always” (6). A total overall score is summed to provide a quantitative measurement which can be used as a comparison for follow-up assessments. Higher scores on the symptom scale reflect greater impairments experienced by the child/athlete. Headache is the most commonly experienced symptom by the concussed athlete. It also tends to linger for a longer period of time as compared to the others on the list. Post-concussion symptom scale scores typically remain higher, compared to baseline measurements, for 3-5 days, however this can vary greatly between individuals. Regardless of the symptoms present or the timeline, no athlete should return to physical activity while they still are experiencing symptoms. Several studies have found the graded symptom scales to be reliable and valid to the effects of sport-related concussion in high school and college aged athletes (Piland, 2006). Although the self-reported symptom scales are accurate in detecting the presence of concussion, it should not be used as the sole assessment tool in managing a concussion. It is also important to note that age appropriate symptom checklists are still needed for the pediatric athlete; therefore these recommendations may not apply to your child. Lastly, these objective clinical tests are designed for use by trained medical and healthcare professionals, so please seek the appropriate medical attention when dealing with a concussion. Following a concussion, your child may experience trouble with maintaining his/her balance due to conflicting or insufficient information being sent to the injured brain. Therefore, a thorough postural stability/balance assessment is warranted to determine the presence of any dysfunction. One method to assessing postural instability, known as the Balance Error Scoring System (BESS), was developed as an alternative to the more traditional force platforms, which incorporates the use complex equipment. The BESS is comprised of six different balance conditions each of which lasts 20 seconds. The balance test comprise of three stance settings, double leg, single leg and tandem which are performed on two surfaces, stable/firm and unstable/foam. A foam pad is used to simulate an unstable surface. The score is measured in the amount of errors recorded during the different balance conditions. One point is given for each BESS error during the six 20-second balance tests. An increased number of errors on the BESS reflect a greater disturbance in balance and coordination following a concussion. The National Athletic Trainers’ Association (NATA) highly supports the use of the BESS as a brief concussion assessment tool along the sidelines. Clinical research has shown that individuals who demonstrated postural instability following a concussion were unable to meet “normal” baseline measurements until an average of 3-5 days post-injury.5-7 Again however, this timeframe can vary greatly between individuals. Sway Balance is another tool used by doctors and athletic trainers to assess balance and keep track of symptoms. Sway is an FDA-cleared mobile balance testing system that reinvents the way patients and athletes are monitored for signs of balance-related dysfunction. This can be used to diagnose and treat concussions by testing their balance and keeping track of their symptom score. The King-Devick Test is an objective remove-from-play sideline concussion screening test that can be administered by parents and coaches in minutes. The King-Devick test assesses cognitive concentration and saccadic eye movement. The King-Devick Test is an accurate and reliable method for identifying athletes with head trauma and has particular relevance to: Football, Hockey, Soccer, Basketball, Lacrosse, Rugby, Baseball, Softball and All Other Contact and Collision Activities. Neurocognitive testing has been found to be a significant tool in evaluating cognitive deficits, measuring patient recovery, and determining return-to-play criteria in concussed individuals (McCrea, 2003; Collins, 2003). The cognitive impairments that follow a sport-related concussion typically include deficits in memory, attention, concentration, processing speed and other executive functions.9 It has been reported that these impairments are detectable for up to 5-7 days post-injury (McCrea, 2003). Several forms of cognitive testing currently exists which include the conventional pencil-and-paper tests, computer-based programs, and brief mental status screenings. The conventional pencil-and paper format is typically administered and interpreted by a trained neuropsychologist. This often requires direct one-on-one interaction with your child and can be very time consuming and costly. These factors, along with others, likely restrict the routine use of neuropsychological testing for sport-related concussion, especially in the adolescent and pediatric population (Broglio, 2014). Examples of paper-and-pencil tests include the Hopkins Verbal Learning Test, Trail Making Test, Digit Span and Stroop Test. The table below lists the brain function(s) being measured and briefly describes the components of each test. The National Athletic Trainers’ Association (NATA) and the National Academy of Neuropsychology (NAN) have come together in an effort to educate the public by creating a video about concussions in sports. You can view the video along with other information here. This test requires subjects to search an array of circles that each contain a letter or number and to connect the circles in order by drawing lines between them. The score is the time required to complete the task. A subtest of the Wechsler Adult Intelligence Scale-III, this test involves repeating strings of numbers of increasing string length. This includes both forward span (exact repetition) and backward span (repeating the strings in reverse order). This is a measure of response inhibition. Subjects are given a page with columns of color names (red, green, blue). The names are printed in various colors, and subjects are asked to say the name of the color in which each word is printed, inhibiting the natural tendency to read the words themselves. The test is timed and scored for the total number correct (typically within 45 seconds). Brief mental status screenings were developed to confront some of the limitations associated with the conventional neuropsychological tests. For example, the Standardized Assessment of Concussion (SAC), was specifically designed to be a uniform, objective assessment tool that could quickly evaluate deficits in neurocognitive function immediately after sustaining a concussion. This sideline tool was developed for clinicians with minimal experience in neuropsychological testing and can be administered within a few minutes. The SAC consists of four categories which focus on orientation, immediate memory, concentration and delayed recall memory. Each category of the SAC is tested and scored separately, then summed to obtain an overall score. A lower SAC total score indicates greater cognitive dysfunction. Orientation tests attempt to determine your child’s awareness of their environment. The tests include specific questions about the event such as the score, who they are playing, where they are, and what time it is. Immediate memory tests are designed to assess the concussed child’s ability to retain and repeat a list of words. The words are provided by the examiner and are to be repeated in any order without delay. Concentration tests are aimed at assessing the concussed individual’s ability to process given information. For example, your child may be asked to recite the months of the year in reverse sequence. Delayed recall memory is linked to the immediate memory tests. After a given period of time, your child is asked once again to recite the list of words that were provided to him/her at the beginning of the memory assessment. The SCAT3 is a screening evaluation tool designed for use only by qualified first responders or medical professionals. The SCAT3 score does not independently determine the diagnosis of a concussion, nor does it independently determine the injured athlete’s recovery or return to play status. Such determination can only be made by a medical professional who has experience in the treatment of sport concussion. The SCAT3 is comprised of eight assessments focusing on postconcussion symptoms, neurocognitive function, and balance and coordination. Specifically, the SCAT3 measures the injured athlete’s symptoms, physical signs, Glasgow Coma score, Maddocks score, Standardized Assessment of Concussion (SAC) total score, modified Balance Error Scoring System (BESS) total errors, and upper limb coordination score. Each assessment is scored separately. The SCAT3 total score is out of 184 and does not include the Maddocks’ questions score because it is only validated for sideline diagnosis of concussion.10 Scores from each separate assessment will be added together to obtain the total overall SCAT3 score. Computerized neurocognitive testing has many practical advantages in the athletic setting. And in recent years, numerous computerized testing programs have undergone clinical investigation. Some of the proposed advantages of the computerized version, over the traditional pencil-and-paper format, are believed to be ease of administration, prompt scoring, variable testing paradigms, and accessibility for clinical use.1, 11 Some examples of computer-based neurocognitive tests include the Automated Neuropsychological Assessment Metrics (ANAM), CogSport, Concussion Resolution Index, and the Immediate Post-Concussion Assessment and Cognitive Testing (ImPACT). Each neuropsychological test examines various cognitive domains ranging from reaction time, visual recognition, symbol scanning, verbal memory, and information processing speed. The table below briefly indicates what areas of brain function each test assesses. Although most concussions are considered to be mild head injuries, there is a potential for your child’s condition to deteriorate and a life-threatening injury to occur, especially if inadequate care is taken. Appropriate medical coverage is essential and will allow for immediate assessment and diagnosis of the injury. Ideally, the medical personnel should have experience in dealing with sport-related concussions. In the event that no medical coverage is provided or medical personnel is not available, and you suspect your child has sustained a concussion, immediate referral to a physician should be arranged. Close monitoring of your child’s post-concussion symptoms are needed to assess their recovery and to determine if other actions are necessary. When should I refer my child? Who should I refer my child to? The concussed athlete should be monitored closely over the next couple of hours and days for delayed signs and symptoms. If your child is exhibiting any “Red Flag” signs and symptoms he/she should be immediately transported to the nearest hospital or emergency department. Broglio SP, Cantu RC, Gioia GA, et al. National Athletic Trainers' Association position statement: management of sport concussion. Journal of Athletic Training. 2014;49(2):245-265. Collins MW, Iverson GL, Lovell MR, McKeag DB, Norwig J, Maroon JC. On-field predictors of neuropsychological and symptom deficit following sports-related concussion. Clinical Journal of Sports Medicine. 2003;13:222-229. McCrory P, Meeuwisse WH, Aubry M, et al. Consensus statement on concussion in sport: the 4th International Conference on Concussion in Sport held in Zurich, November 2012. British Journal of Sports Medicine. 2013;47(5):250-258. McCrea M, Guskiewicz KM, Marshall SW, et al. Acute effects and recovery time following concussion in collegiate football players: The NCAA Concussion Study. JAMA. 2003;290(19):2556-2563.